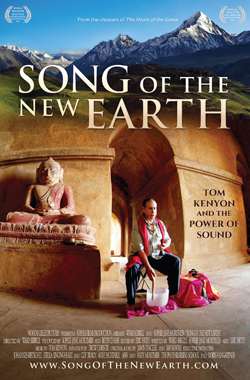 This Deluxe DVD contains both the original documentary (88 minutes) as well as bonus content that includes extended sound healing sessions and in-depth teaching sessions by Tom (127 minutes). Total running time is 215 minutes. Sophia Films/Woody Creek Pictures as well as the movie’s Director and Producers do not represent me, are not my agents, and do not have my permission to speak about me, or my work as they lack the necessary scientific or esoteric background to do so. Furthermore, Sophia Films’ Facebook™ page, Song of the New Earth is not a way for to communicate with me. If you sent an email to their Facebook™ page thinking that you were communicating with me, you were not. Sophia Films does not share emails with me, even those that are clearly addressed to me nor do they have contact information for me on their Facebook™ page. Note: This DVD is an NTSC version replicated for Region 0, which means it will play anywhere in the world as long as you have a “multi-scan” player, which most are now.